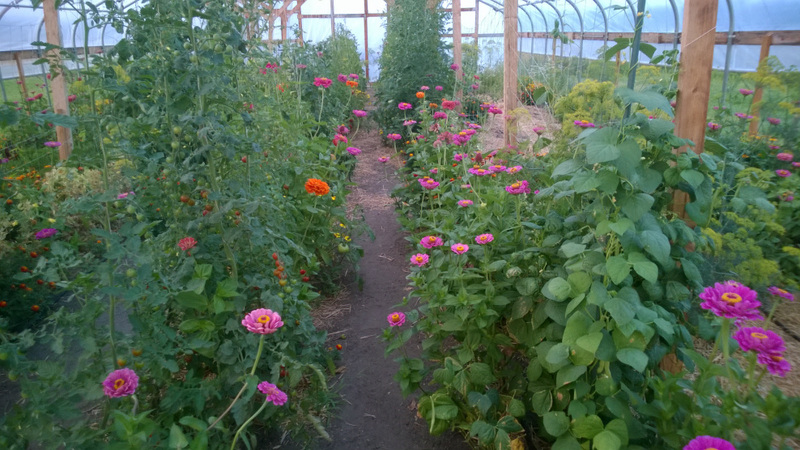 In addition to our raspberries, we have fresh vegetables and herbs growing in our high tunnel. Produce is for sale on the farm by appointment. Please "Like Us" on Facebook to get regular notifications about what produce is currently available. THE GARLIC, THE GARLIC, THE GARLIC is ready!